' Along With The Gods: The Last 49 Days ' also broke the record As The Fastest Film to reach for 5 million viewers. Follow in the footsteps of the first film, "Along with the Gods: The Last 49 Days " continues to achieve new accomplishments since 1 August. A sequel to the film's "Along with the Gods: The Two Worlds " it now has a record. According to data released by Korean Film Council (KOFIC), "Along with the Gods: The Last 49 Days " has attracted 5,409,817 viewers since its release until August 5. Special on August 4, a film starring Ha Jung Woo gathered 1,466,416 audience. Attendance earned "Along with the Gods: The Last 49 Days " on August 4, it broke the record of most viewers in a single day in Korea. Previously, the record was held "Avengers: Infinity War " with 1,333,310 spectators. Not only this, "Along with the Gods: The Last 49 Days " also broke the record as the fastest film to reach for 5 million viewers, achieved in just 2 days. The film surpassed the previous record achieved "The Admiral: the Roaring Currents " in 6 days. To celebrate this achievement, the star's "Along with the Gods: The Last 49 Days " i.e. Ha Jung Woo, Joo Ji Hoon, Lee Jung jae and Kim Yong Hwa Director to upload their photos. In the photo, they hold the balloons with the number's "500 's". 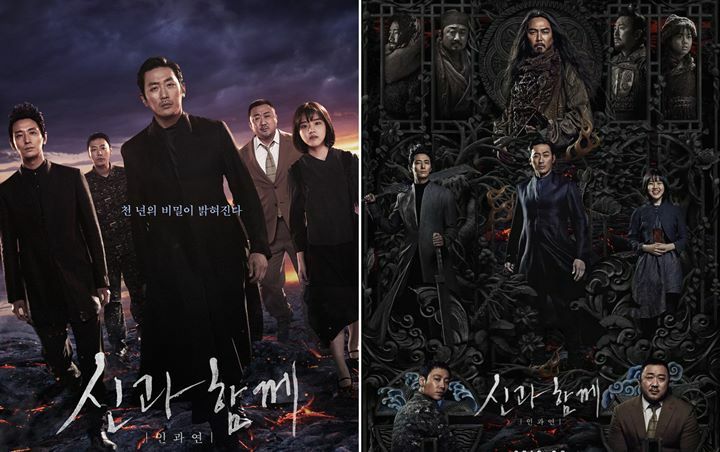 Meanwhile, "Along with the Gods: The Last 49 Days " is a film that deals with about 3 God of death promised could be reincarnated if they help the soul to-49 passes through the world of the afterlife. However, everything becomes complicated when the leaders of the three gods that evokes a man who became curious after the deceased was accidentally killed.